Summertime gives kids an opportunity to discover hidden talents, and to have some fun. Here are some local programs designed to let your kids shine. The 2019 Broward County Camp Guide – including Day Camps, Overnight Camps, Creative Arts Camps, Education Camps, Specialty Camps, and more. Plantation: 12200 W. Broward Blvd. Delray Beach: 6200 Linton Blvd. Day Camp and Specialty Camps are offered at each campus. Some of the many camp activities include: indoor and outdoor sports, swimming, archery, nature center, art rooms, technology labs, game rooms, field trips, carnivals, animal encounters, and magic shows. Specialty Camps: Robotics, Science Adventure, Video Production, Musical Theatre, Art, Lacrosse, Baseball, Softball, Soccer, and Tennis. Two camps to choose from for girls ages 5-12. Cheerleading Camp with dance, leadership and more; and Smart Camp with crafts, games, in-house field trips and other activities. Register by the week. Before and aftercare free, no registration fees, early registration discount. Indoor and outdoor activities include arts and crafts, fishing clinics, SWIM Central instruction, nutrition information, game-room activities, special events, field trips, exercise, Broward Star Time talent competition, guest speakers, and more. Space is limited. Pre-registration is required. Kids can enjoy playful summer days participating in activities that include non-competitive sports, art, fishing, aquatics and daily field trips. Programs include Young Chameleons for grades K-5, Chameleon Teen Camp for grades 6-8 and Counselors in Training for grades 9-10. Children ages 5-12 can have fun while embarking on a journey to discover nature, science, leadership and self-empowering life skills such as financial literacy. Activities include art lab, archery, entrepreneurship, mad scientist, team sports, tennis, water play and more. Camp Kadima offers a camp experience for every interest — sports, theater, adventure, travel, tech and more. Open to all. No membership required. New field trips and new adventures. ACA accredited day camp offered at two beautiful state parks. Outdoor environmental camp includes hands on science, canoeing, archery, fishing, arts and crafts, surfing, paddle boarding, scuba diving, and field trips for ages 5-13. Teen Eco Experience, ages 14-16. Science of the Seas Camp at the Dania Beach location, ages 5-13. Counselors are certified teachers. Weekly rates, sibling, and early bird discounts available. Transportation and healthy lunch offered. Open to students in kindergarten to grade 11, Camp Nova’s activities include arts and crafts, cartooning and ceramics, cheerleading, dance, 3-D printing and Minecraft, creating video game designs, learning to become Junior Marine Biologists, sports, aquatics, field trips and more. Specialty camps include Theatre Camp, Drobot Camp, Counselor-in-Training, Junior Lifeguard Camp, Marine Science Camp, Sports Camps, Teen Camp, and more. Camp is held June 10 – August 13.
science and nature, and a variety of specialty camps. Additional programs include English as a Second Language and Academic Advantage Plus for students with specific learning needs. Early Childhood camp for ages 3-5 offers enrichment lessons, water play, special activities, events and more! VPK space is limited. Elementary camp for ages 6-10 offers a variety of sports, arts and crafts, pool activities, plus field trips. Half-day Academic Camp is also available for ages 6-10. All-Stars program includes sports, cooking, dance, music, water play, storytelling, arts and crafts and more. Travel camp features action-packed field trips and swim lessons every week. School-Age Summer Camp features coding, cooking, STEAM, art, games, sports, dancing, cartooning and more. Preschool Camp themes include Puppet Time, Mess Fest, Food Factory, Good Sport, Artful Antics and more. CSC funded summer programs provide a safe, positive environment for elementary school children from economically-disadvantaged areas in Broward County and for children and youth ages 3-22 with behavioral health and other special needs. High quality and enriching activities expose children to art and culture, music, science and community service while boosting academic achievement, supporting social and physical development, and strengthening children’s relationships with adults and peers within their families, schools and communities. Sliding fee scale. To find a CSC funded MOST program call 2-1-1. Camp Explorer, for grades kindergarten-5, includes field trips to local attractions such as water parks and museums. In-house camps include hands-on STEM curriculum (Davie-Plantation, Weston-Sunrise), cooking (Davie-Plantation), splash days and more. A Preschool Camp for infants is available at the Davie-Plantation and Weston-Sunrise locations. Children ages grades K4 through 6th engage in daily devotions, crafts, sports, field trips and more. Camp hours are 9am-4pm daily. Early drop and after care is available. Exclusively for ages 2-5, the Mailman Segal Center’s Summer Exploration Camp at NSU fills summer days with fun and exciting learning opportunities. The camp features an interactive water-play fountain, an outdoor art studio, four unique and exciting playgrounds and indoor classrooms where children can play, learn, and explore. Science, music, ceramics, cooking, and art are just a few of the many activities offered. Program includes a day program for campers ages 3-14 and overnight programs for campers ages 6-13. Themes include Counselor in Training, Circus Camp, Creative Arts, Discovery Camp, Super Sports, GameTech Institute and more. Program fosters a love of learning, while providing a fun and safe environment for campers grades PK2-6th. Children learn new skills and gain confidence as they engage in a wide variety of dynamic activities throughout the day. Weekly themes carry into daily activities including arts and crafts, organized games/sports, music and movement, cooking, science, water play, computer games, and field trips. Bilingual camp for ages 1-12. Three programs available: Discovery, for preschoolers; Explorers, an in-house program; and Travelers, which features daily field trips. Daily, weekly and full summer sessions available. Activities include tennis, swimming, art, science labs, crafts, games, team building, hands-on young chefs, water play and more. Campers participate in a full day of riding as well as lessons about safety, grooming, tacking and horsemanship. Ages 7 and up. A fun, weekly camp for boys and girls ages 5-6, 7-10 and 9-13. Campers are immersed in a unique, fun-filled experience that fosters teamwork, builds problem solving skills, and nurtures critical and creative thinking. New camp themes include Secret Coding Genius, Coding Mission to Mars, 3D Coding Explorer and Engineering 101, and Specialty Camps which include Apps, Drones, 3D Printing, and MicroController Robotics (Advanced) and Enchanted STEM. Unique Spanish, French and English immersion programs offer children a fun, enriching summer experience while developing language and critical thinking skills. Children engage in language learning through daily language class followed by a true camp experience including both outdoor and indoor activities, horseback riding, sports, arts & crafts, field trips and more. A Leader in Training (LIT) program is offered to teens. Early bird pricing available. Kids can learn through fun this summer at this robotics and coding center. Boys and girls can learn the ins and outs of coding through fun, hands-on activities each week. Grades K-8. Full immersion German summer camp. Weekly or monthly sessions run from June 1-August 31. Children ages 5-8 can learn how to be a farmer by spending time with a number of barnyard animals; learning how to feed, groom, and maintain farm animals; learning basic handling of ponies and going for a pony ride; driving a pony and cart and more. Space is limited and pre-registration is required. Weeklong camps are designed to give children ages 6-12 entire days filled with exploration and hands-on learning. Camp fee includes all workshop materials, chaperoned exhibit exploration and IMAX film. Ocean Explorers Camp for grades 7 & 8 includes two days at the Museum and three days at FAU’s SeaTech in Dania Beach exploring coastal marine and coral reef ecosystems. Campers will conduct estuary and barrier island field work and tour FAU’s ocean engineering and electronics labs, submarine, and flow tunnel. A one-week medical school immersion program for high schools students exploring a career in osteopathic medicine that includes hands-on experience in high-tech robotics, emerging technologies, CPR and first aid training and certification, disaster and emergency preparedness and more. Sessions take place June 9-15 and June 16-22. Trailblazers Week Camp: Program includes riding instruction, riding time, grooming, and saddling, plus intermediate riding instruction and tack/equipment. Enrollment is limited to 12 campers per week. Pre-registration required. Horsemasters Advanced Camp Program includes riding instruction, riding time, grooming, saddling, intermediate riding instruction and tack/equipment, plus an introduction to English riding and advanced riding instruction. Pre-registration required. Weekly summer camp for ages 5-12. Fun, creative time filled with drawing, painting, pottery, sculpting, cartooning, and physical activities, games, and films. June 3 to August 9. $275 per week, 9am-4pm, early and late care offered. Financial aid available. Have an ARTrageous summer at YAA Summer Art Camp. Choose from Art Exploration, Digital Art & Film, Ceramics & Sculpture, Drawing Painting & Printmaking, Fashion Camps and more. Experience cutting-edge art studios, hands-on instruction from professional artists and explore the museums galleries daily including the new exhibit ArtCade: An exhibition of playable artwork. Camp highlights include special guest artist workshops, library exploration, and outdoor play. Ages 3-14. Dancers and performers can learn skills, increase techniques and participate in a talent show or full production. A variety of camps are offered including a Creative Camp (ages 5-11), Summer Workshop (ages 5-13), Performance Camp (ages 12-18) and Dance Camp (ages 8-18). Call 954-462-0222 or visit www.browardcenter.org to reserve space in any of the camps. Sessions are offered for different age groups at each of the three locations: Acting Up (ages 6-9); Broadway Bound (ages 10-13); and Company Group (ages 13-18). The camp offers a fun introduction into the world of theater, both onstage and behind the scenes. The program culminates with campers performing live on stage. Young Professionals Summer Camp: (ages 13-18) Advanced level of study. Campers perform in professional production. Audition required. Summer Stage Show Camp is for campers grades 2-10, who work with professional instructors in acting, music, and dance to mount a full-scale production at the end of each four-week session. This year performances include James and the Giant Peach, Jr. and Mary Poppins, Jr. Storybook Adventures Creative Drama is offered for pre-K through first grade (minimum age 4) with a different theme for each one-week session. A total arts immersion program offering campers exploration of cultures from around the world through dance, music, film, food, arts and crafts and more. Enrollment begins in March. An academic enrichment program for high achievers in grades PK3-12 with a dedicated faculty comprised of career educators and professionals. Some of the course offerings include: Early Elementary Enrichment, Reading & Writing Honors Workshops, Advanced Math, Business Entrepreneurship, Leadership, Speech & Debate, Medical Terminology, Embryology, Psychology, Coding with Java, Architecture, SAT/ACT Prep, and more. A proven summer program with over 50 years of success. For students in grades PK3-12, class sizes are small, teachers are certified and highly experienced, and weekly progress reports keep parents informed. Free morning bus transportation is provided throughout Broward, Palm Beach, and Miami-Dade Counties. Summer School/Summer Camp combo is offered. Organized by Broward Health Coral Springs, this is South Florida’s only day camp for children with Type 1 diabetes. Offers a full range of camp activities and day trips, plus insulin management, glucose monitoring and nutritional guidance for ages 5-11, all under medical supervision. Call for location and details. 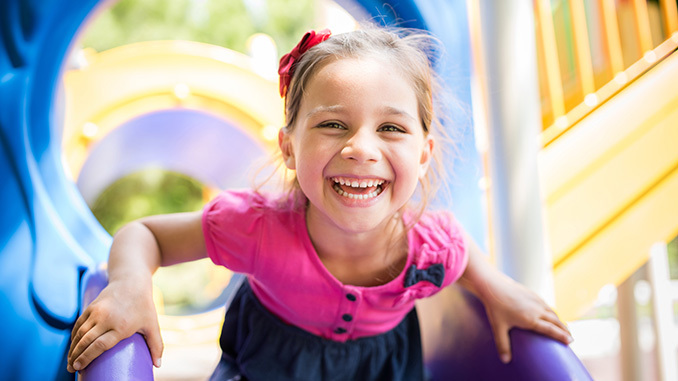 Nicklaus Children’s Dan Marino Outpatient Center provides a fun-filled educational and behaviorally therapeutic summer program conducted by trained professionals including certified teachers, behavior specialists and education aides. Ages 5-12. Call for location and details. Created and funded by The Moyer Foundation, Camp Erin is a nationwide network of free bereavement camps for children and teens ages 6-17 who have experienced the death of someone close to them. The weekend-long experience consists of camp activities combined with grief education and emotional support, facilitated by grief professionals and trained volunteers. Camp takes place March 22-24. Camp includes an educational component as well as fun activities including field trips, games, sports, arts and crafts, swimming and more. Ages 6-22. Call 954-392-2130 for information. Half-day Summer School and Summer Enrichment program for students in elementary through high school. Designed primarily for internal families, external students can participate in afternoon activities through the Summer School program. Paladin Academy is a private college-prep school for students with mild learning differences. Summer camp program available to children ages 6-13. Camp takes place at Coconut Creek Community Center, 1100 Lyons Rd., and Coconut Creek Recreation Complex, 4455 Sol Press Blvd. For Cooper City residents only. Summer Fun program provides a fun filled day for children entering grades 1-4. Camp C.C.H.S. program is for grades 5-8. Visit website for more details. Various camp programs available including general elementary and teen, sports, specialty and more. Call for locations, fees and details. To register visit www.coralsprings.org/recreation. Pine Island Community Center, 3801 S. Pine Island Rd. For grades entering Kindergarten through exiting 8th. Ivanhoe Community Center, 6101 Volunteer Rd. Choose from a variety of camp programs including day camps and specialty camps. Visit the website or locations and details. Camps for elementary school aged children are offered at a variety of city parks and locations. Activities include crafts, sports, free play, field trips, swimming, entertainment and end of summer celebration. Held at two locations: Johnson Park (ages 13-18) and Foster Park (ages 6-12). Call 954-457-1452 for more information. A range of specialty camp programs are offered at various locations throughout the city. Locations and dates vary. Visit the website for more details. Driftwood Community Center, 3000 N. 69 Ave.
Weekly sessions available. Sports, games, group activities, swimming, arts and crafts, field trips, special presentations, talent show and more. Eight-week program for children 5-12 (no pre-k) includes arts & crafts, field trips, swimming, games, special events and more. Lunch included. Veterans Park, 7600 NW 50 St. Other sites available. Summer youth recreation program features fun zone activities including arts and crafts, cooking, dance, music, science, sports and more. A Teen Camp is also offered. A variety of programs available including sports camps, specialty camps and more. Check website for details. Choose from a variety of camps including day camp, sports camp and more. Call or visit website for location and details. Kids Camp: Grades K-5. Must be 5 years old on the first day of camp. Activities include field trips, special events, arts & crafts, sports, games and more. Teen Camp: Grades 6-8. Activities include off-site field trips, special events, sports and games. Art Camp: Fletcher Art & Cultural Center, 7960 Johnson St., 954-986-5027 (Ages 6-11); and River of Grass ArtsPark, 17189 Sheridan St., 954-322-2597 (Ages 6-11). Drama Camp: Teens at River of Grass ArtsPark, 954-392-2122 (Ages 8-11 and 12-14). Soccer Summer Camp: West Pines Soccer Park, 350 SW 196 Ave. Camp includes soccer training and games with certified trainers (Ages 6-16). The City of Plantation offers a variety of age-appropriate summer camp programs including day camps, specialty camps, sports and more. Camps take place at a variety of locations throughout the city. See website for details. Variety of summer camps available. For details, age requirements, location and cost, see website. See city website for camp details. Day Camp: Held at a variety of elementary school sites. Ages: 5-10 or entering grades K-5. Science Camp: Ages: 8-10 or entering grades 3-5. Teen Day Camp: Ages 11-15 or entering grades 6-10. Theatre Camp: Ages 8-15 or entering grades 3 -10. Counselor in Training Camp: Teens ages 15 and older interested in becoming a camp counselor. To qualify, you must turn 15 by June 1, 2019. Sports Camps: Ages 8-15 or entering grades 3 -10. For ages 5-14. Activities include field trips, swimming, arts & crafts, outdoor and indoor activities. Camp is held at Tamarac Park, 7501 N. University Dr., June 17-August 9. Packets will be available at Tamarac Recreation Center, 7501 N. University Dr., or at the Tamarac Community Center, 8601 Commercial Blvd on February 25. A wide range of activities including arts & crafts, double dutch, sports, indoor and outdoor games and more. Visit website for details. A horse lovers’ paradise since 1954. A’top Lookout Mountain, for 50 girls, 8-17; 1 to 9 weeks, 600 acres, English, Western, Barrels, Vaulting, and Trails. CHA instructors teach beginner to advanced riders. Spend 4-6 hours daily with your own camp horse. The Jones family are third generation horse lovers, camp administrators, and equine educators.